Find out where you can find yourself a Moon Stone in Pokémon: Let's Go. In Pokémon: Let’s Go, players have been asking how to get a Moon Stone. Aside from being a cool item to find, a Moon Stone can help evolve certain Pokémon like Clefairy or Jigglypuff. As the item’s name suggests, you can pick up a Moon Stone by visiting Mt. Moon. If you’ve had trouble finding a Moon Stone at Mt. Moon, or simply need more information on what to do with this rare item, we’ve got you covered. Below, we’ve put together a quick guide on how to get a Moon Stone in Pokémon: Let’s Go! Mt. 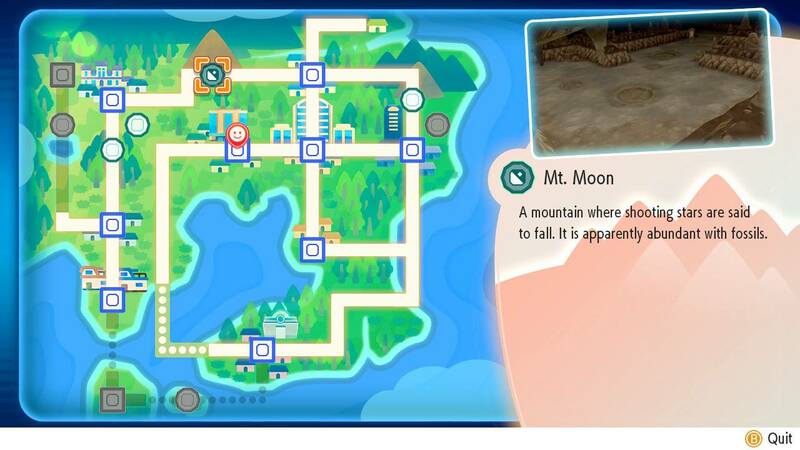 Moon is located between Cerulean City and Pewter City in Pokémon: Let's Go. As stated above, to get a Moon Stone in Pokémon: Let’s Go, you’ll need to pay a visit to Mt. Moon. You can find Mt. Moon between Cerulean City and Pewter City (as seen in the map image above). Note that you'll need to use Mount Moon to travel to Cerulean City from Pewter City in the opening stages of Pokémon: Let's Go. Once you reach Mt. Moon, you’ll need to head inside and search the ground for Poké Balls. Inside these Poké Balls are random items (with the Moon Stone being one of the potential items you receive). Due to its rarity, you likely won’t pick up a Moon Stone right away. Instead, you’ll need to head deeper and deeper into Mt. Moon, all while picking up every dropped Poké Ball you find. Aside from Mt. 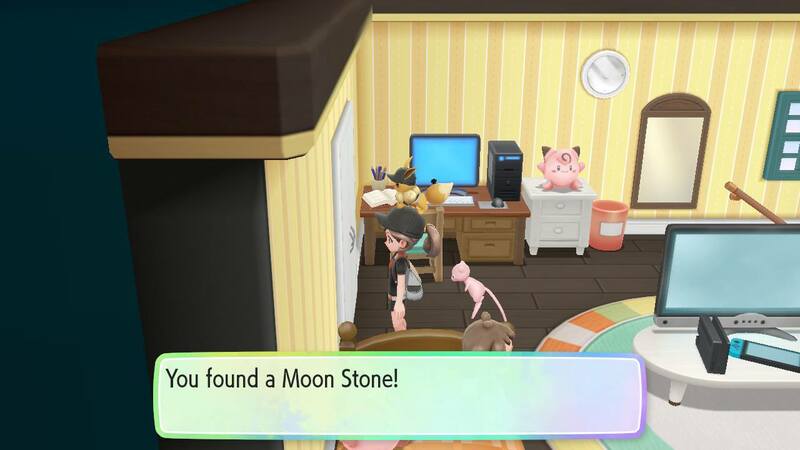 Moon, you can also pick up a Moon Stone in Pokémon: Let's Go by searching the White Cupboard in the Copycat Girl's house located in Saffron City. If you missed the Moon Stone in Mt. Moon, you can also search the White Cupboard on the upper level of the Copycat Girl's house in Saffron City. Alternatively, you can return to Mt. Moon once per day as the Moon Stone has a chance to respawn at that location. Eventually, you should be able to pick up at least one Moon Stone in Pokémon: Let's Go. 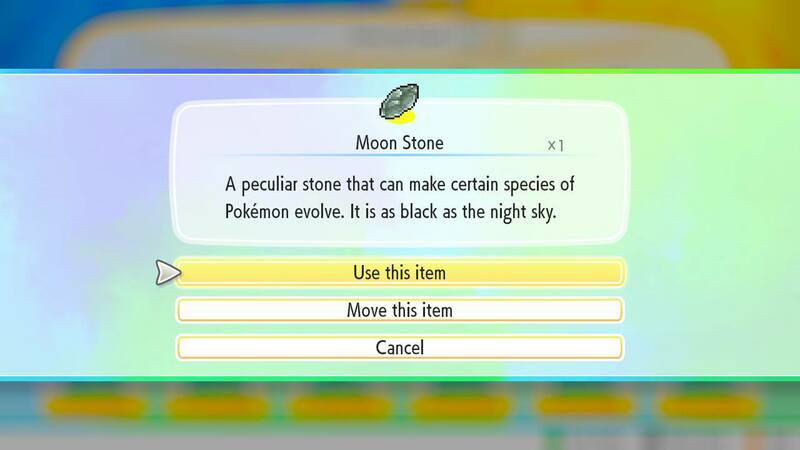 The Moon Stone can be used to evolve certain Pokémon like Jigglypuff or Clefairy in Pokémon: Let's Go. Now that you know where to get a Moon Stone in Pokémon: Let’s Go, you’ll want to keep an eye out for other Stone types. Check back, as we’ll be posting guides on where to find other Evolution Stones in Pokémon: Let’s Go. Were you able to grab a Moon Stone in Pokémon: Let’s Go? If so, what Pokémon did you use it in? Let us know down in the comments below! For more on Pokémon: Let’s Go, be sure to check out some of our previous guides including where to get all Outfit Sets in Pokémon: Let’s Go, all Berry types in Pokémon: Let’s Go, and how to get all three original Starter Pokémon in Pokémon: Let’s Go. By reading through this guide, you should now know how to get a Moon Stone in Pokémon: Let’s Go.